Kim & Matt are obviously made for each other. 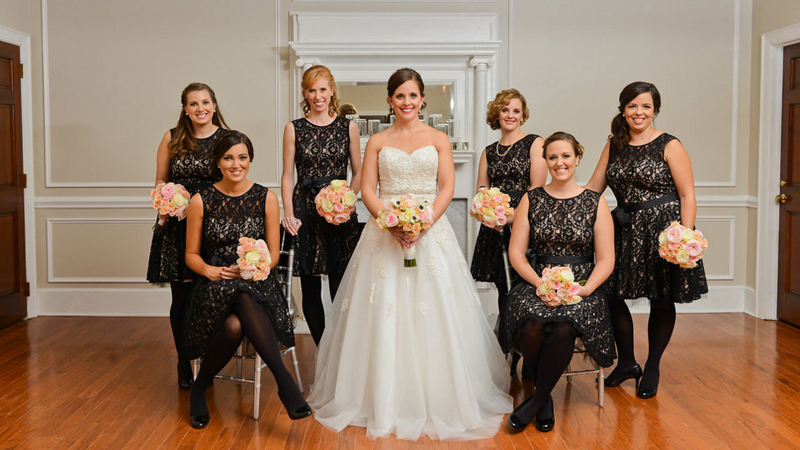 Kim is very organized, sweet and detail-oriented (which we love!). 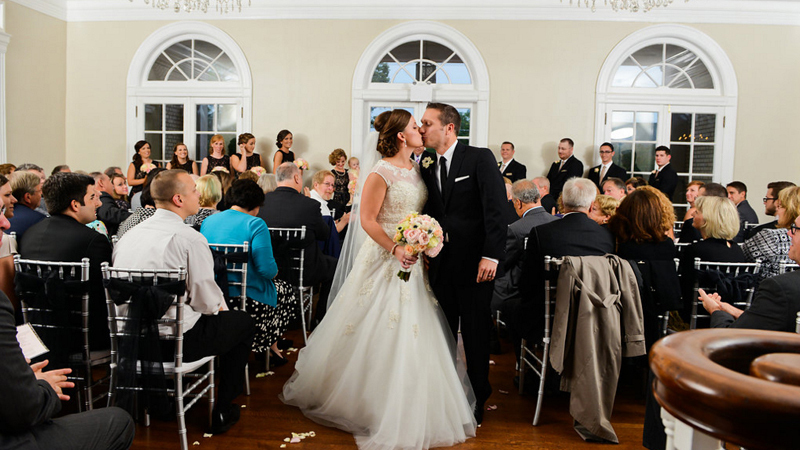 Matt is cool, composed and easy-going (pretty much the perfect groom). They share a passion for soccer that is really remarkable (their "official" rehearsal dinner t-shirts were based on the U.S. Soccer team motto, slightly adjusted for the occasion: I BELIEVE THAT WE WILL WED!, it was really cute). 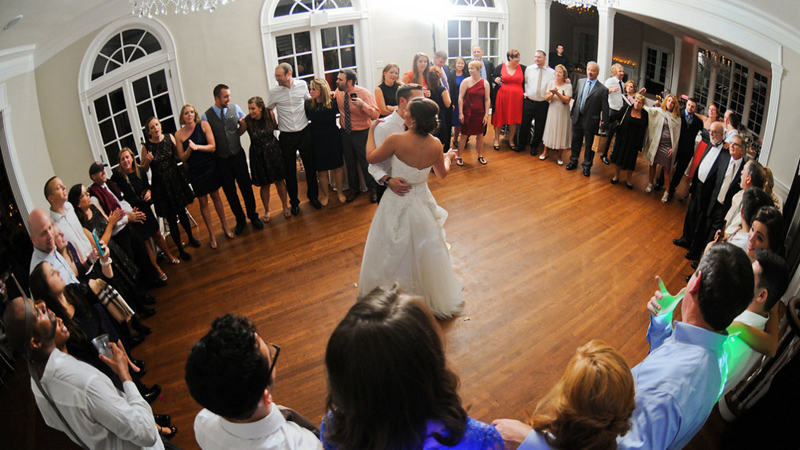 The first week of October in North Carolina is usually ideal for outdoor weddings. But Mother Nature had another plan for that day; Hurricane Joaquin was heading to Charlotte that day. But no worries! The glamorous Separk Mansion has a perfect Rain Plan in place for days like this one. 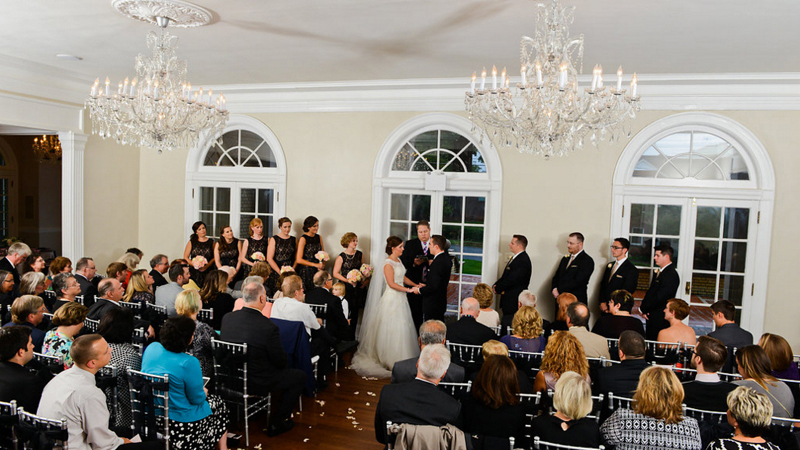 Beautiful Chandeliers, Chiavari chairs and a string quartet (provided by Bella Musica String Ensembles) were a few of the elegant touches that made Kim & Matt's Ceremony unforgettable. 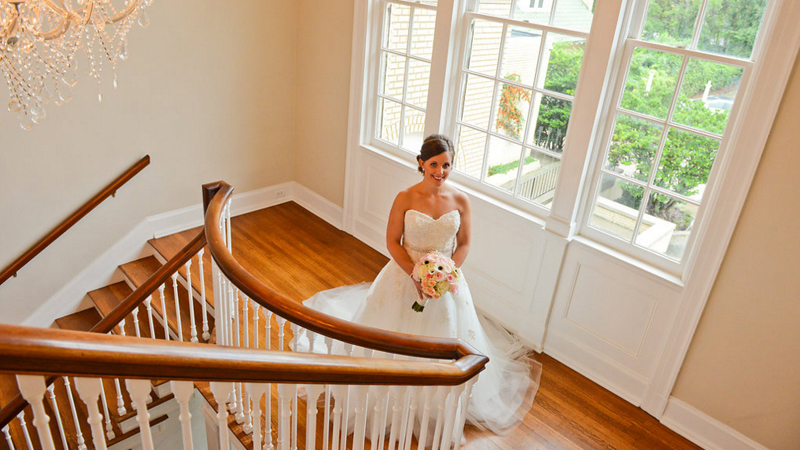 Here are a few of the gorgeous pictures that were taken by talented Summer Herlocker Photography. They are amazing! 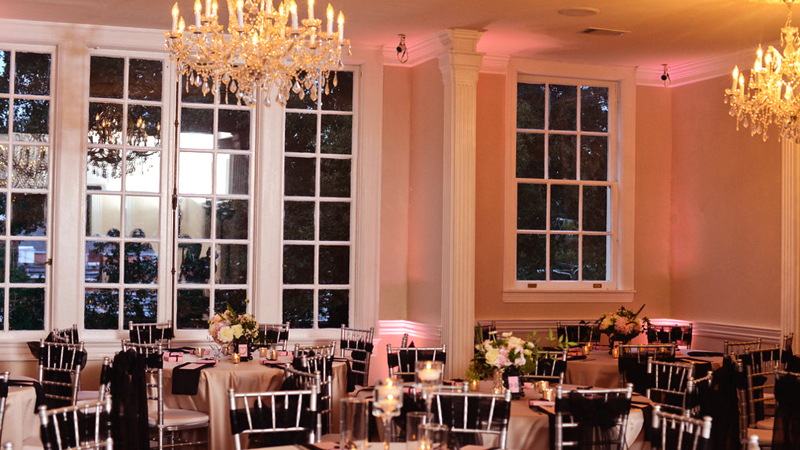 Bridal Affairs provided Monogram Spotlight (projected on the dance floor) and Uplighting (Blush) which enhanced the venue's ambiance. 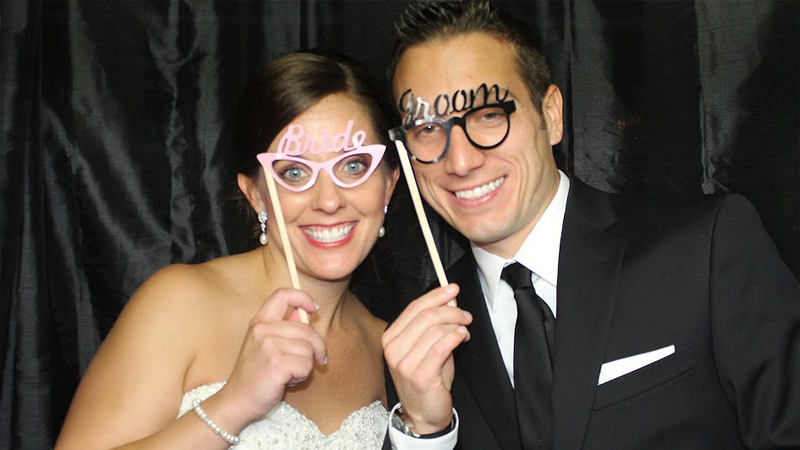 We provided our Premium Photo Booth which was a hit among the guests! 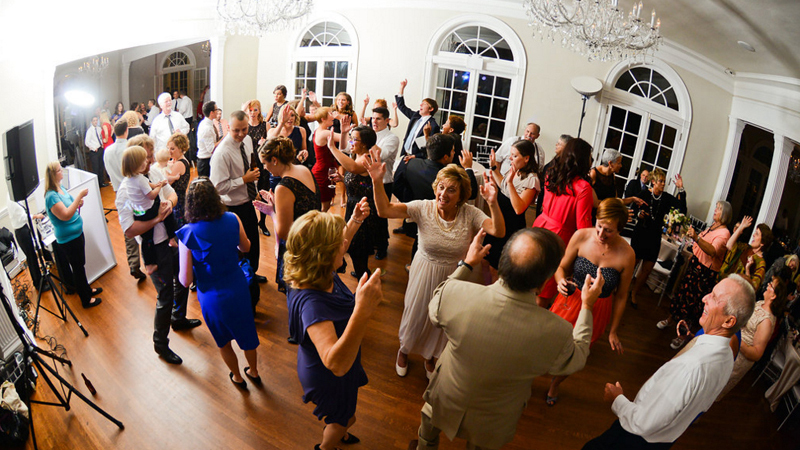 Bridal Affairs provided DJ music that had everyone dancing the whole night through! 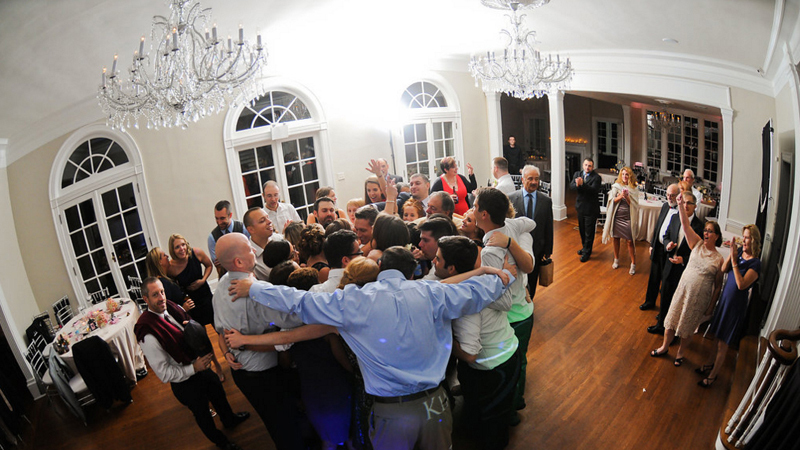 (Wedding Tip: Favorite songs of the night were: Billy Joel - Piano Man & Frankie Valli - Can't Take My Eyes Off You). 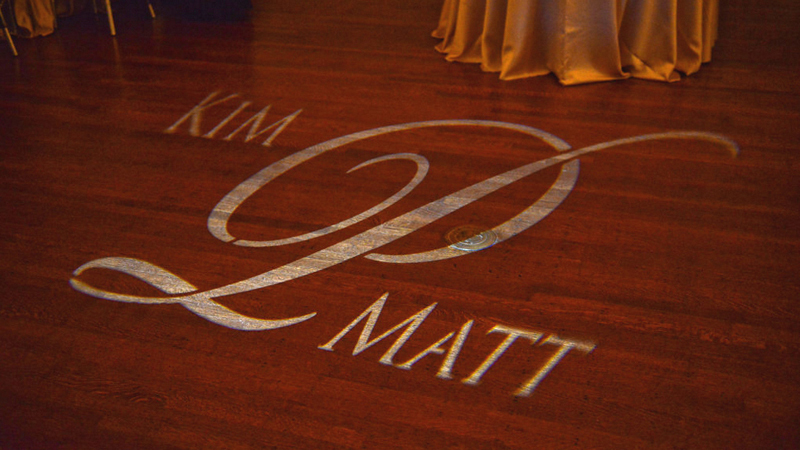 Thank you Kim & Matt for the honor of sharing your most special day with us! May happiness find you in every corner of the globe as you begin your new life together. Congratulations! 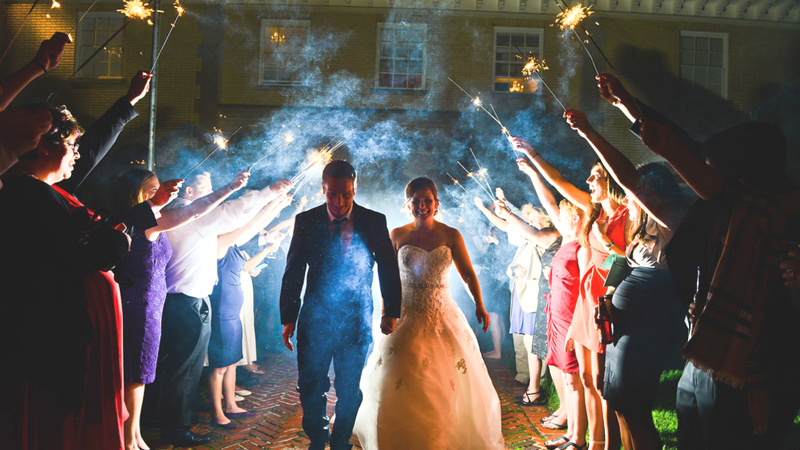 Find other amazing weddings by visiting our Blog (Featured Weddings) section. Copyright © Bridal Affairs. 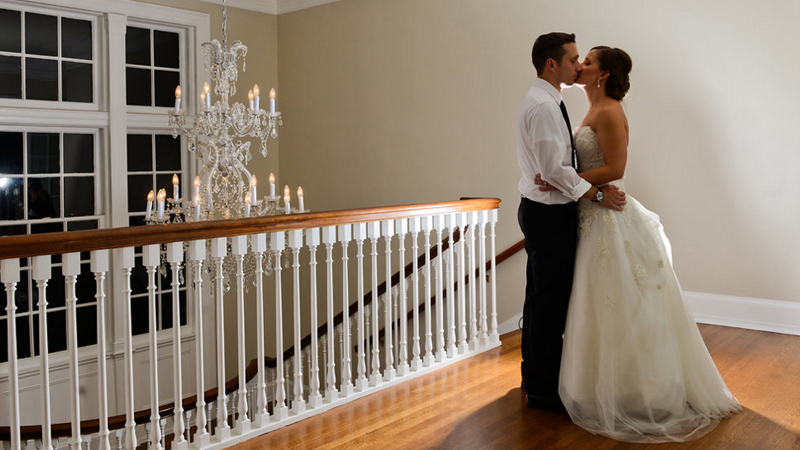 The Bridal Affairs name and logo are trademarks of The Affairs Group Inc. All rights reserved. Images belong to their respective owners. Website Design by Design Affairs of NC.